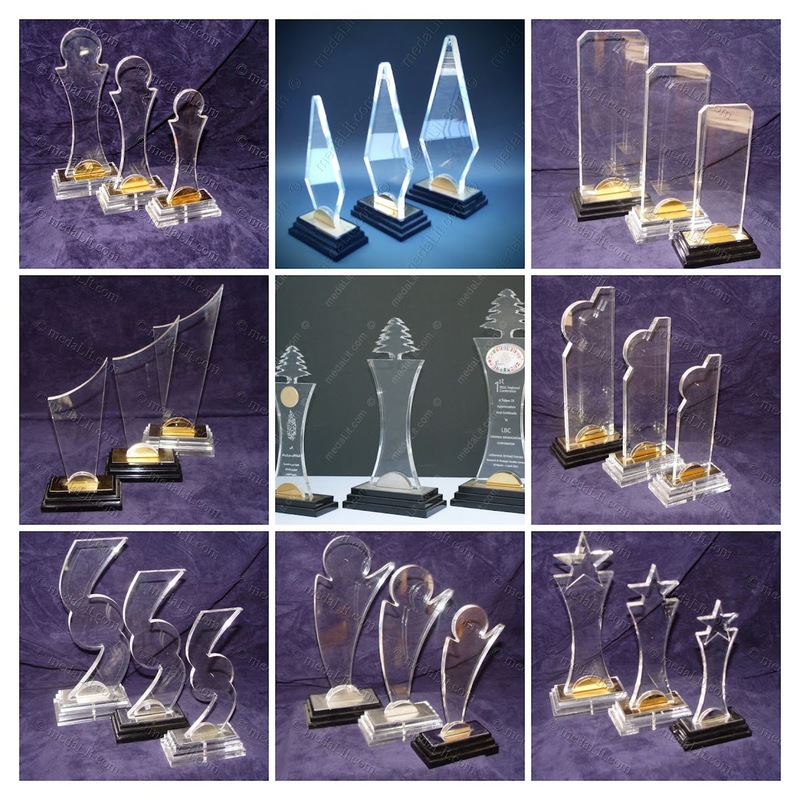 The Absi Towers Collection of trophies are distinguished by their tall appearance, the designs offer an ample body surface to carry your personalised message and graphics that can be either laser engraved or printed; they are custom-cut from thick acrylic sheets; each stands on a three steps acrylic base distinguished by its metallic base-top and clip. In addition to the standard crystal clear body on top of a piano black base, a wide selection of colors' combinations are available. Packed in a carton gift box as a standard. Code named Emerald Trophies. The series height to length ratio is approximately 2 to 1.